The East Brunswick PBA Local 145 will host its Annual Easter Egg Hunt on Saturday, April 15th at 11:30am. 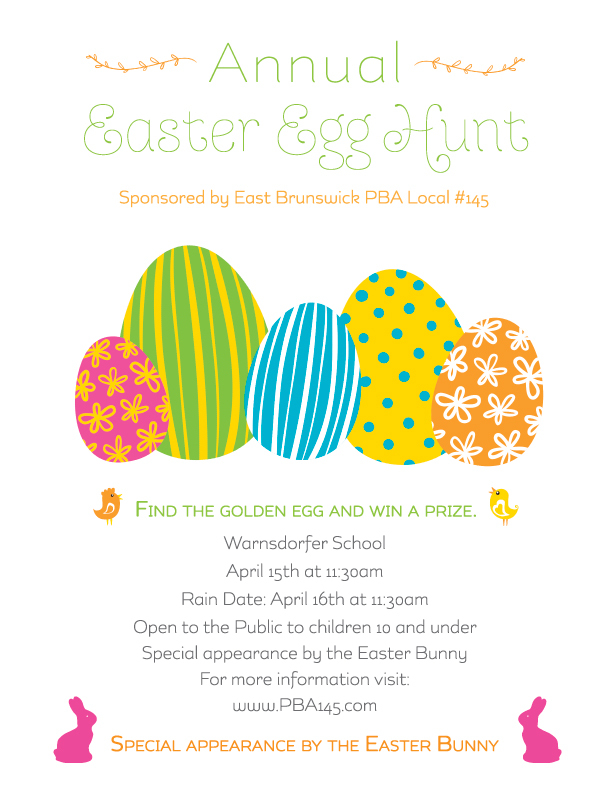 All East Brunswick children under the age of 10 are invited to search for eggs and meet the Easter Bunny. Find the Golden Egg and win a prize! In the event of rain, the Easter Egg Hunt will be held Sunday, April 16th at 11:30am. Don’t miss out and make sure to register today! Posted in Events and tagged bunny, easter, egg, event, pba, school.